“A few weeks ago I visited my friend Matt from Minus Ramps and Pools. I hadn’t seen him for more then two and a half years. Reason enough to go for that ten hour drive from my place to Matt’s home. Another good reason was that Soup, the mastermind behind General Sherman’s Radius Floats, was visiting Matt. I had planned to stay just for the weekend, but I soon realized that this was not enough time. Matt is a crazy guy. It is hard to keep up with this dude’s high energy level. He wanted to show Soup and me some of his latest projects. We drove to Hamburg Nettelnburg, where Matt and his hard working crew just had finished a nice flow park right next to a youth center. 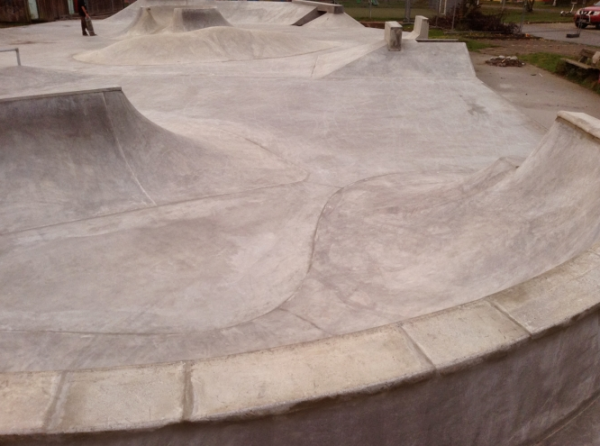 We did a little work, some finishing touches to the new concrete. Later, it luckily had stopped raining so we grabbed our boards and skated till it started dripping again. Wow, what a fun little park (900 square meters). We took off to Hamburg Wilhelmsburg, where Matt and his crew had built a park for an International Garden Show in 2013. Booom!!!! This park is a jewel. Unfortunately it was wet, no chance to skate, but just walking around that beautiful snakerun-bowl- combo, checking the high quality concrete work got me hyped. The next day we drove to Bremen check the Ueberseestadt Park. Kawooom! 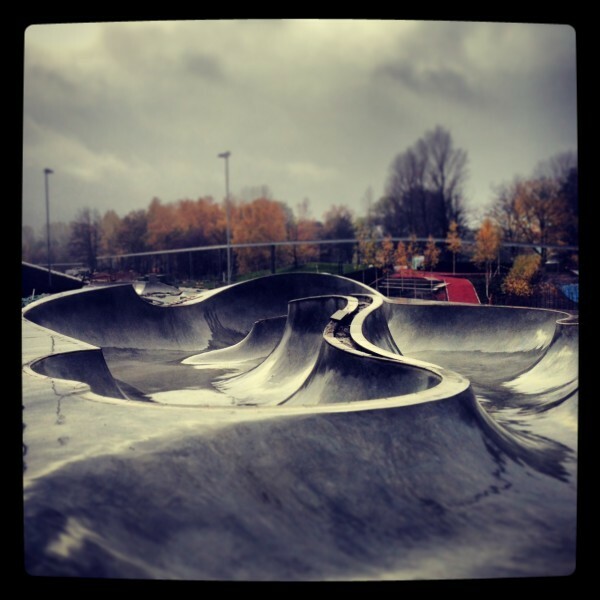 Another top notch location for skateboarding in northern Germany. Just walking around and looking at that piece made me speechless. 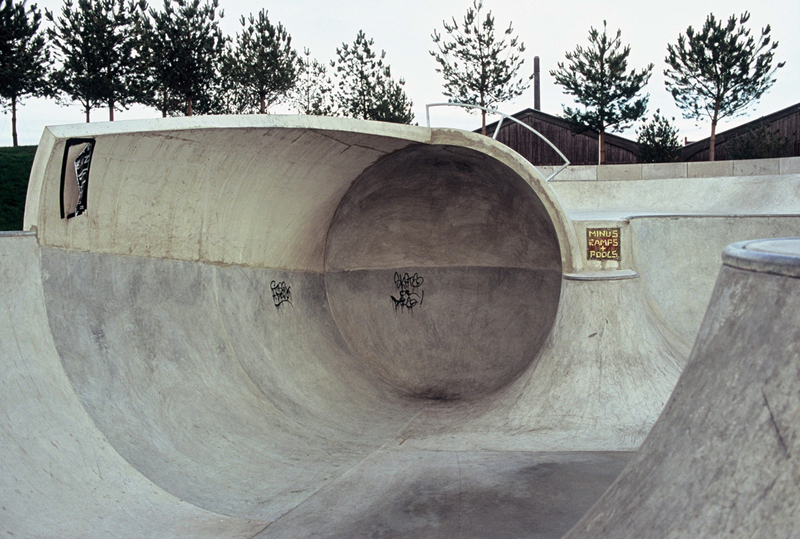 A huge bowl area, with a cradle oververt wave, the “turbine” and a ridiculous big quarter pipe (just the bowl area is around 1000 square meters). Even the street area, I normally don’t care too much, looked like a lot fun. Autumn moisture, rain at night, had left big parts of the park wet and unskatable. Cradle and Turbine overview. Who’s going to be the first to loop it? Skreech…. get your passport in order! 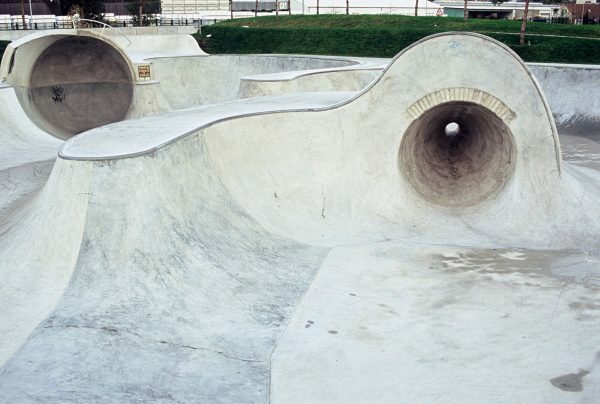 Bremen doesn’t just have a cradle, a turbine full pipe and a backyard style pool bowl. It’s also got a little quarter pipe. But Matt had a gas burner with him and he immediately started to dry the surface of the pool. This thing is a challenge! I’ve never experienced something as close to a real backyard swimming pool in a public skatepark. The scene up in Bremen, being involved in the planning of the park, had demanded something like this. Tiles, loveseat, light, three deathboxes, diverse pockets and for sure some stairs. Do not expect to do your favorite mini ramp tricks in that pool – like in a real pool, you have to work hard for everything in that piece. Skate park wet? No one’s going to dry it for you… bust out the blow torch and squeegy. For more pictures of the Ueberseestadt Park in Bremen check the Minus site. Soup over the death box barely avoiding smashing Pudi’s face and camera lens. Another angle of Soup going over the box. Soup frontside grinding over the love seat in the crazy backyard pool style bowl in Bremen, complete with three death boxes and a loveseat…. Pala (CA) / Gila Bend pool (AZ) replica in Germany. Matt Grabowski. Heelblock on the Sam Hitz blader hater board created in 2005, skated in 2014, on Matt’s garden volcano he built between building the sickest skateparks around Germany. Looks like Matt and Soup were playing a game of skate in the front yard. Soup with a tail block on the volcano. 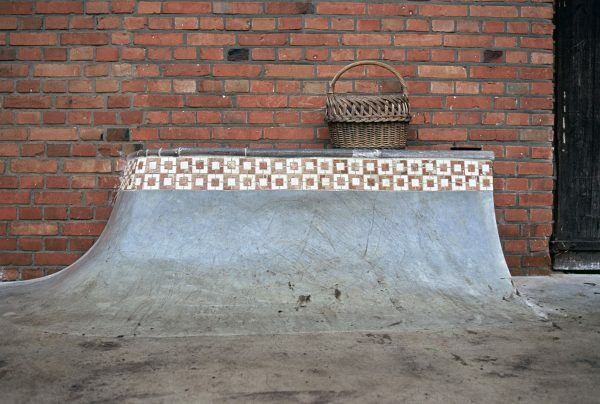 Who wouldn’t want a quarter pipe with a hip and pool coping built up against their house? Matt wanted one, so he built it. All photos by Pudi (except where noted, by Minus Pools and Phillip Fischer).